It was at the height of the Cold War, 63 years ago last week, when a military plane went down into the icy Monongahela River… and the “Ghost Bomber” went down in history as one of the great Mysteries of Pittsburgh. On January 31, 1956, Major William Dotson and five crew and passengers of the B-25 Mitchell World War II-era bomber were on a routine training flight from Nellis Air Force Base in Nevada to Olmstead Air Force Base in Harrisburg. But they didn’t quite make it. At 4:11 p.m., with no fuel, a malfunctioning engine, and no available airstrips nearby, Dotson was forced to make a wheels-up splash landing into the Monongahela River near the Glenwood Bridge. Four of the six men aboard were rescued; two disappeared beneath the waves, and their bodies weren’t found for months. And no one knows what became of the plane – not a single trace of it was ever found. Naturally, conspiracy theories abound. Some suggest the bomber carried dangerous or mysterious cargo and that the U.S. military secretly recovered the plane’s wreckage immediately after the crash landing to hide its true contents. Some believe the mystery bomber may have been carrying a nuclear weapon or even a UFO from Area 51. 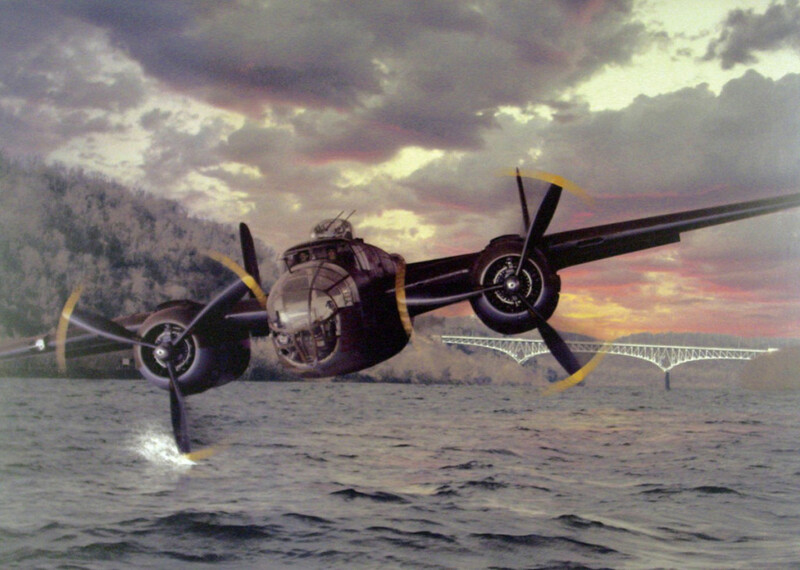 Click here and here to read more about the mysterious B-25 bomber, ongoing efforts to find it, and some interesting theories about its final destination!